The Aeolos Villas complex is located on the Vassilikos peninsula, one of the most beautiful and scenic parts of Zakynthos Island, in the village of Vassilikos. There are three villas available, all just 700m away from the famous sandy beach "Ionio", but there are also many other beaches in the region which can easily be accessed. The captivating charm of the surrounding area is scenic, lush and green and provides interesting walks through the countryside. The traditionally warm Zakynthian hospitality is alive and well at the Aeolos Villas complex and combined with the beauty of the natural environment, the breathtaking view and the quality of the service, it ensures guests will enjoy the best possible family holidays all year round. The villa measures 63 m2 and can accommodate up to 6 people. The maisonette measures 126 m2 and can accommodate up to 8 persons. 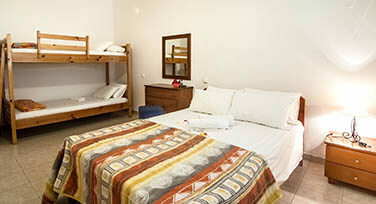 The apartment measures 63 m2 and is suitable for 4-5 persons. There are two apartments measuring 40 m2 and suitable for 4 persons. There are two apartments measuring 63 m2 and suitable for up to 6 persons. The Aeolos Villas complex is located very close to the island’s ultimate wedding location, Porto Azzuro beach. We will be happy to accommodate wedding parties of up to 35 guests in our villas and maisonettes. Enjoy the company of your friends and family in privacy and make your wedding a long lasting experience you will never forget! 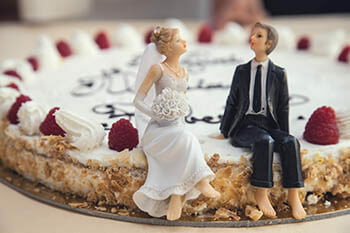 If you are planning to renew your vows, celebrate a birthday or any other occasion, why not book everyone in one place? Our villas offer proximity as well as privacy so you can spend your vacation together but still have your own personal time when you need it. The villas are located very close to the Ionio Beach. It is a sandy beach with a beach bar serving snacks and refreshments, sun loungers and umbrellas as well as an unorganized part of the beach where you can lay your towel and enjoy sunbathing. Vassilikos is famous for its beautiful beaches such as Dafni, Gerakas, Saint Nikolaos and Banana. The variety ensures that everyone will find a favorite one as some are cosmopolitan, some quiet, some natural and untouched and some organized.